The New Aladdin MAXbrite Model 500 burner was introduced in August/September 2015. 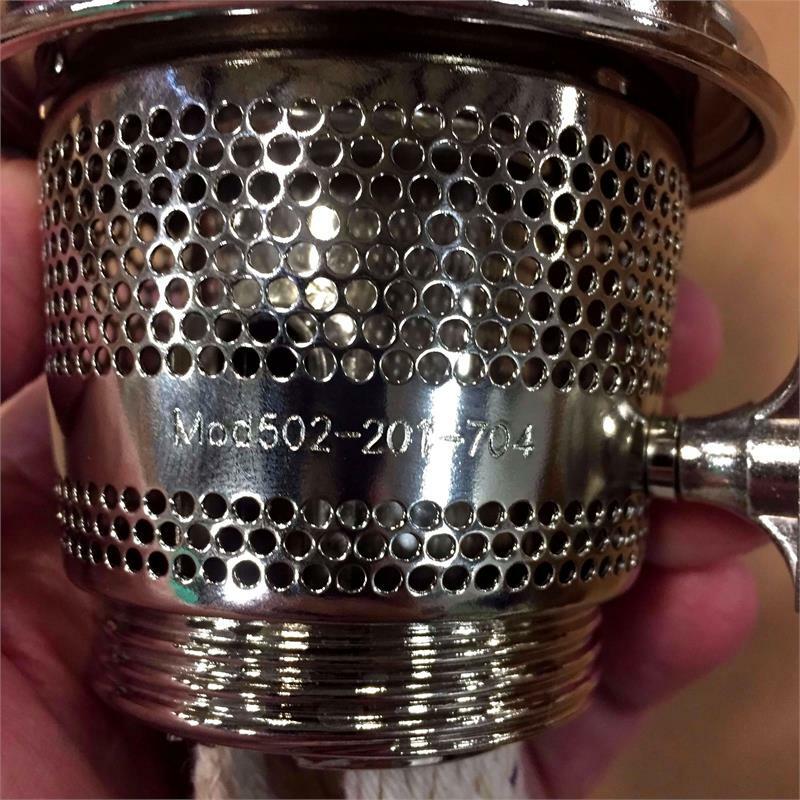 The improved and redesigned #502 series was introduced in July of 2017. The Aladdin side draft burner is a time-tested burner design that is over 80 years old. The burner design changes have been incremental since the Model 21 was introduced in 1953. The Aladdin MAXbrite Model 500 series is a refinement of and replacement to the most recent Aladdin Model 23 side draft burner. The goal was to maximize light output. Changes were made to eliminate random air leaks that have troubled Model 23 production since the Model 23 England burner was discontinued. Those air leaks caused troublesome spikes in the flame. 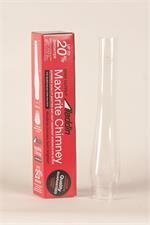 The MAXbrite Model 500 burner eliminates those spikes which kept mantles from being used at full brightness. The Aladdin MAXbrite Model 500 burner is matched with a new redesigned MAXbrite chimney which modifies the airflow around the chimney base to further increase the mantles light output. Improved Knob! Aladdin MAXbrite 502 uses a larger diameter made from a special alloy called ZAMAC (Zinc, Aluminum, Magnesium and Copper). This alloy is not as heat conductive as brass so the knob stays cooler to the touch. The larger diameter makes wick adjustment much easier. Precise Fit! Close examination shows that some of the corners in the burner where parts come together are tighter or sharper on the Aladdin MAXbrite 500 series than on the Model 23. The MAXbrite is made with all new tooling. The threads on this burner will work with fonts (bases) of Aladdin lamps made from 1955-present. Glass or Metal bases without central air tubes. 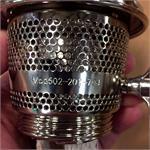 The improved design of the Aladdin 502 kerosene lamp burner has corrected minor burning issues found in the 500 burners. The burner threads are also now more compatible with older fonts. If you have any questions about the Aladdin 502 burner, please let us know. We'd be happy to help! www.p65warnings.ca.gov.